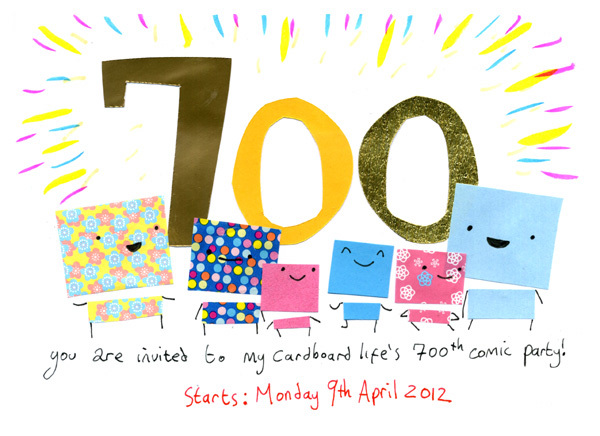 I’ve been counting comics and I know that the 700th My Cardboard Life comic is going to appear on Friday 6th April! To celebrate that I’m going to have a week of guest comics and fan art starting from Monday 9th April! Anyone who wants to make a guest comic or some fan art (or any other kind of My Cardboard Life themed thing) is welcome to join in. PLEASE DO JOIN IN! It’s best so send something before the guest week actually starts so Sunday 8th April is the deadline (but if you send something during the guest week it will still get included). Make sure you let me know if you’ve got a website I should link to with your guest comic. 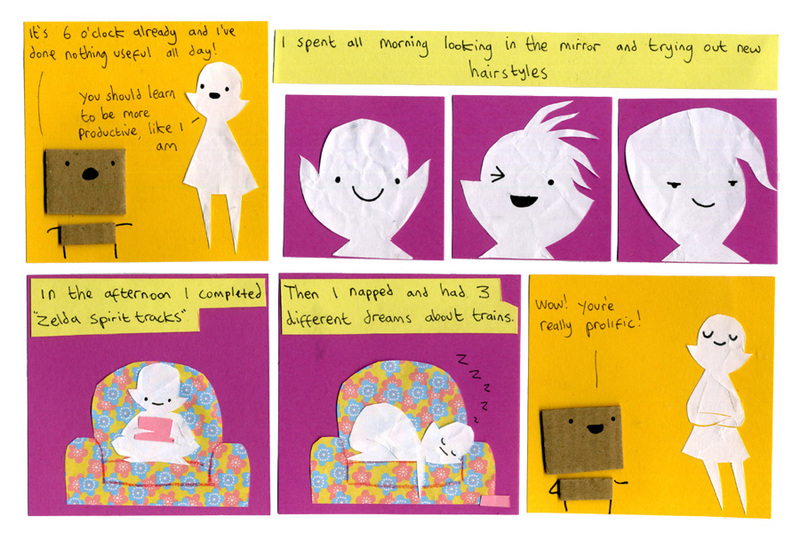 Send your comics and pictures to mycardboardlife (at) gmail . com. The last time I had a guest week was for the 30oth comic. The first of those is here and you can carry on from there to see the rest of them to get lots of ideas. There are links to more in the blog thing underneath each guest comic too. If you’ve got any questions you can ask in the comments, or email me. I’m really looking forward to seeing what everyone sends! Ohh I desperately want to send one, but I can’t find a plot, only paper and cardboard! Whatever shall I do? Hey that’s on my birthday! Oooh, I’d so love to do something for this! Would you mind a drawing of Colin and Pauline as humans? Good! I’ll get to work!